There’s something comforting about my bedtime beauty routine. Once I massage my cleanser into my skin, it is as if I am washing away any stress from the day. Those few minutes spent on pampering actually come with other perks. In fact, there are several benefits to having a consistent skincare routine. For many of us, we skip steps in our routine because we think it’ll take too long. We are all stretched for time. Once you find the right products, you'll soon realize that it only takes about 5 minutes to do your face. Faithfully keeping a skincare routine will help to treat wrinkles, prevent acne & improve the clarity of you skin. It might sound silly, but it’s true. When you take care of your skin, your skin will take care of you. Did you know that your skin is actually working hard while you sleep to regenerate? Cell turnover is faster at night and this allows your products to do their job more efficiently. If you are careful and make a point to cleanse your skin and remove your makeup every night, your skin will be better able to repair itself, while treatment products and moisturizers will absorb more deeply. At night, I remove my makeup with the lovely Biossance Squalane + Antioxidant Cleansing Oil and then follow with Cetaphil Gentle Skin Cleanser, which is non foaming, fragrance free, and gentle enough for even the most sensitive skin types. Here is an in depth post on Cetaphil, inclusding my thoughts on it over a decade. 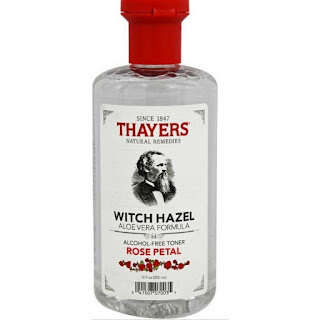 I use good old-fashioned Thayer's Witch Hazel Rose Petal Toner after cleansing. I have used this on and off for several years and I always seem to go back to it. After cleansing and toning, I apply a lightweight moisturizer under my makeup. 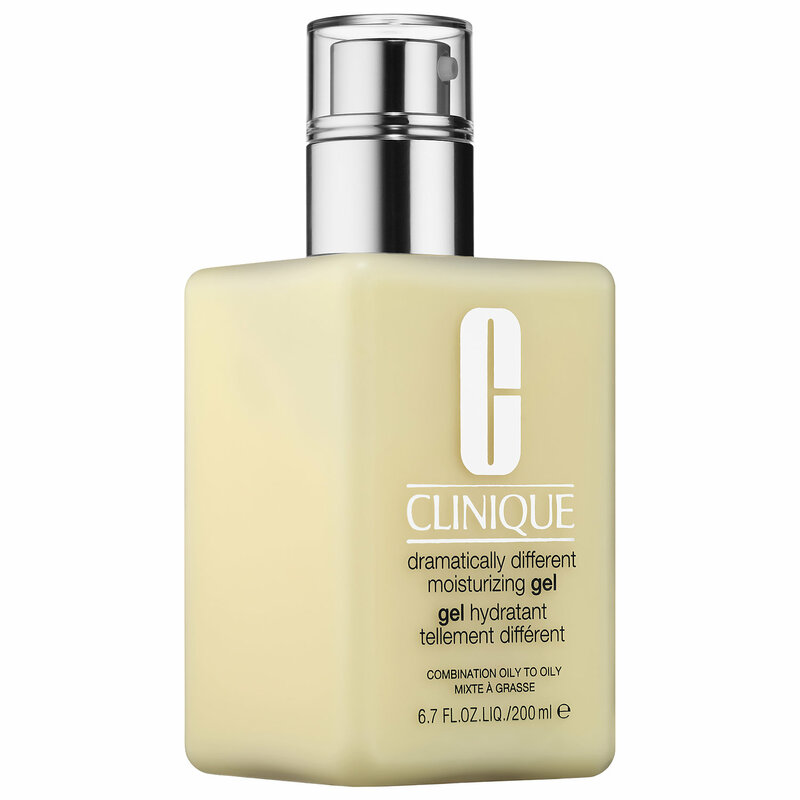 My favorite is Clinique Dramatically Different Moisturizing Gel. Take note - this is NOT the old DDML, Dramatically Different Moisturizing Lotion, this is a different product. Why do I adore this one? It is fragrance free, feels soothing and cooling and contains barley extract, sunflower, cucumber and an ingredient known as Japanese knotweed (Cuspidatum root). Japanese knotweed is rich in Reseveratrol, one of my favorite antioxdants. 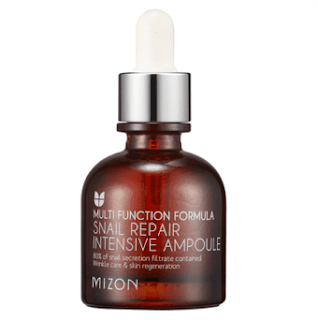 My night time serum is Mizon Snail Repair Intensive Ampoule. This gem has REALLY made a difference in my skin, dramatically fading a melasma patch in about 3 months. This may sound like a long time, but is actually pretty fast even compared to prescription treatments like hydroquinone. This serum is rich in antioxidants, vitamins, and peptides and this Korean beauty cult favorites is a staple in my regimen. 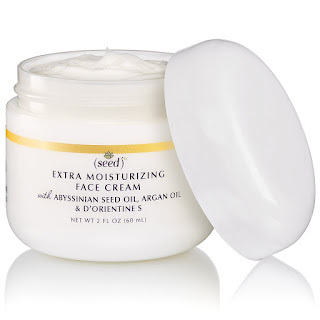 Seed Advanced Botanicals Extra Moisturizing Face Cream is my go-to night cream. I love all of the Seed products I have used over the past nearly 8 years, and this cream is no different. What IS different, though is how the ingredients in this gem compare to comparable products on the market. This cream feels so LUXURIOUS, rich and nourishing. 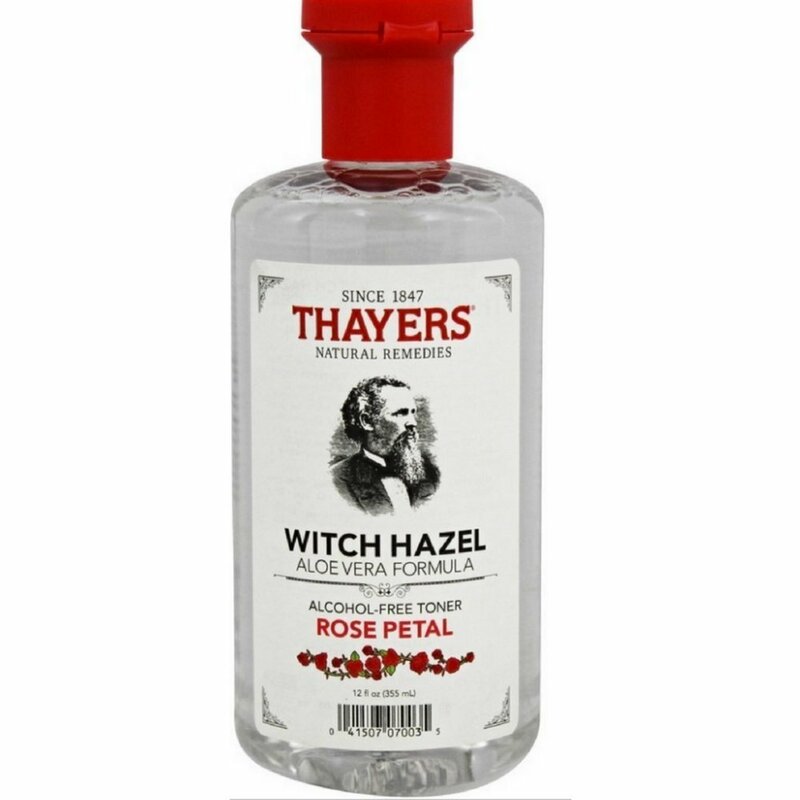 I use this as a night cream and I feel as though it works magic as I get my "beauty sleep." The formula boasts impressive ingredients like Argan Oil (LOVE IT), Hyaluronic Acid, and more. What is unique is that you do not find Date extract or Abyssinian Oil in many face creams. Those just seem so exotic. My skin drinks this cream up. especially this time of year. It is so dry and so cold, and the fireplace air, the constantly running furnace, and brisk temps tend to wreak havoc on my skin.I chose the Lemon and Grapefruit essential oil add ins because of the cheery scent and because they make my skin brighter. Another A+ Seed creation! You will love this cream, which is superior to night creams I have used for $70-80 or more. I also treat my eyes with my current favorite eye cream: Ole Henriksen Banana Bright Eye Creme. I love how this product moisturizes the delicate skin under the eyes, helps to reduce fine lines, and I appreciate the brightening properties. In fact, that is why I adore this cream so much. There is a light yellow hue to this cream from the banana powder, so it helps if your eyes are looking a bit tired in the morning. This cream features Vitamin C, collagen, radish root ferment (a stellar natural preservative), lemon, orange, and more. I received this one free from Influenster as part of their blogger influencer program and I like it enough so that I will be repurchasing when my complimentary jar is gone. Dullness. At some point, most of us will notice a decrease in skin radiance. It doesn’t have to be that way, though. If you make exfoliation a regular part of your skincare routine, you’ll get your glow back. Cell turnover slows down as we age, so it’s important to help the process along so our skin can shed dead cells. Nip + Fab Exfoliate Glycolic Fix Extreme Peel Pads slough off that top layer of skin, so over time your skin will look fresh and healthy once more. These are SUPER affordable and work just as well as peel pads that I have used from Juice Beauty, Exuviance, and Peter Thomas Roth. These pads contain lactic acid, salicylic acid, mandelic, and glycolic acids, making them even more beneficial for your skin. Tip: Cut each pad in half and your face will still get the amount it needs PLUS you will get 120 uses! How many of you have purchased the latest skincare item promising results only to use it a couple of times before declaring it ineffective? People get so caught up in the notion of miracle ingredients or finding the fountain of youth that they expect instant results. Dramatic results will not happen overnight. It can often take weeks of consistent use for noticeable results to happen. The key to seeing those changes is to stick to your skincare routine. I like to think of a skincare routine like an exercise routine. When you first start your exercise routine, you might not see results those first few days. Once your routine is established, you take notice. You’ll begin to think, “Wow. Look at the definition in my waist.” When you stick with that exercise plan, you’ll continue to notice changes in your body and if you keep at it, you will be able to maintain those changes. The same is true with a consistent skincare regimen. Your skin will continue to look healthy and refreshed as long as you don’t give up on the routine. If you stop using your products, your results won't last. Please know that it is also okay to change up your routine! Skin changes with age, hormonal changes, weather changes, etc., so what may work now may need to be adjusted down the road.